Morning all! Today's coverage round-up comes for our awesome client BigDudeClothing.co.uk, a leading supplier of plus size clothing in the UK. 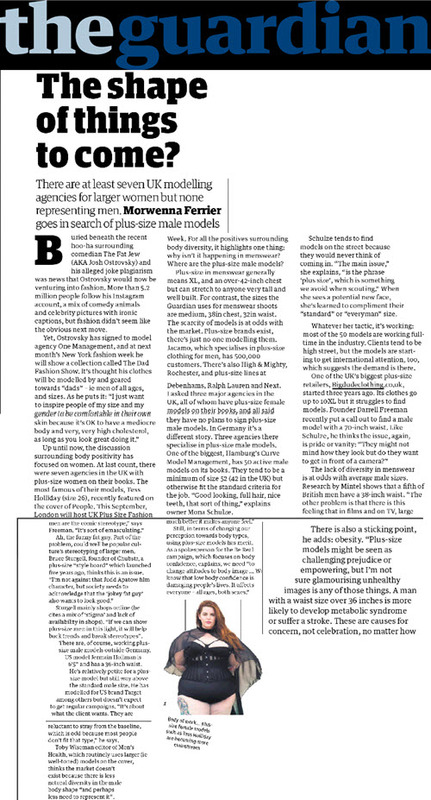 They have been covered in the Guardian this week for their comments on plus-size men and the need for more empowerement for them. The comment has been used in an article on the need for plus size male models, which BigDudeClothing are hiring for at the moment.